The Floral Stone Tracery Scarf is made with a stone wall essence on the base of the scarf in the colours of various stones. The inspiration for this set of scarves is the amazing stone tracery on Architecture of the past. The elaborate and fascinating artwork that was involved in designing and making the stone tracery is outstanding. 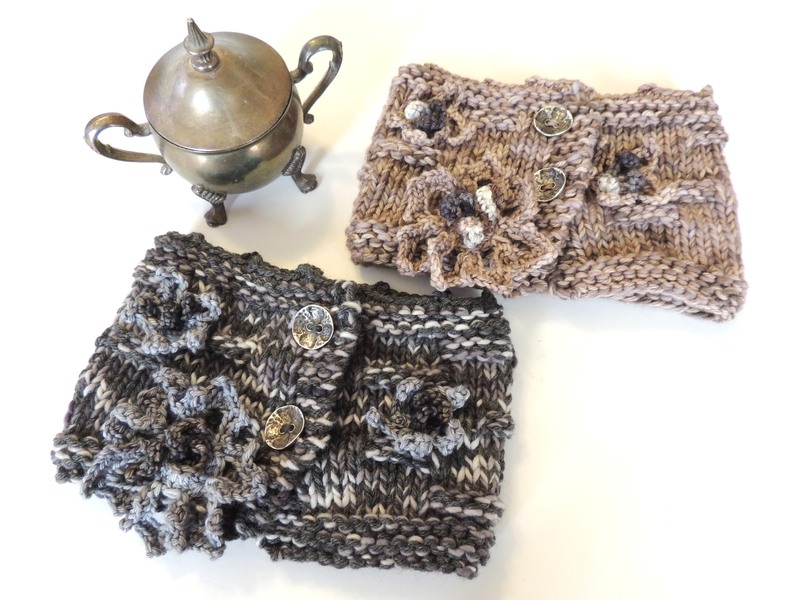 For these smaller scarves, more of a cowl size, I have choosen to put a few stone tracey flowers to accent the design. I will be changing the stone tracery as I go along focusing on different types of stone tracery. Other colours will be available in the future. This is likely my favourite collection to design to date. The ideas and inspiration continue to flow with some bigger and more elaborate pieces to come soon. I love Architecture of the past and present and will continue to add this to my future designs. Stay tuned for more of the Architectural Collection by Valerie Baber Designs. You can purchase my designs at http://www.valeriebaberdesigns.etsy.com or check me out on Instagram http://www.instagram.com/vbaberdesigns or Twitter at http://www.twitter.com/vbaberdesigns for pictures of my other designs and the newest pieces. Floral Stone Tracery scarves designed last July 2014 with a stone coloured base and floral style stone tracery accents. I added a few hand warmers to match.